If there is one thing I’ve learned from living with a foodie, it’s that homemade dishes are always, always, always better. With the exception of sushi and certain ethnic foods, such as Ethiopian, homemade is the way to go in so many ways. Taste: In terms of the way a dish tastes, in comparison to restaurant-made or made at home, your food will always taste better… or should. This is subjective to circumstances of whether you can or cannot cook, but for argument’s sake, let’s assume you know how to follow a recipe and have some interest in cooking. If you have those two things, it’s safe to say your food will taste better than whatever you find in most restaurants. There are a lot of arguable points on this but if you can find yourself in the kitchen with a good recipe, a variety of spices, and fresh ingredients, you’re set. It’s not to say that some restaurants can draw my attention and wow me with their use of flavors, but most fall short of anything amazing. There’s usually that pop of delicious missing, that key note that has been left out from the recipe, or the food was prepared without love, passion, or true knowledge. When you cook, bake, or create at home, you have the choice of using fresh ingredients and whatever spices or flavors you’d like. Most restaurants severely under-spice their foods. The average American must not be able to handle what real flavor taste like, or are just not used to it, because most purchased meals are definitely under flavored, at least for me. And some just aren’t flavored the way I want them to- to what my tastebuds want that day. Which leads me to the next part of taste: When you make it at home, you are in control of what it tastes like, and ultimately what ingredients go into a dish. Incredible homemade sausage recipe coming up! Nutrition: You’re the owner of your kitchen, you’re the creator of your meal, and you’re the one calling the shots, or pours, of olive oil, butter, other fats, carbs, additives, sugars, everything. You can add or subtract butter. You can add in a dollop of this, that, or none. You actually know what you’re eating because you’ve made the dish yourself. Whether it’s curiosity or a control thing, I really like to know exactly what I’m eating. When I go to a restaurant, I am that person at the table changing up my menu order. On a side note… I’m sure waiters love me, but I feel as though if I’m paying for something, and eating it, then I’ll have what I want. Whether or not the person serving my food has honored that, I’ll never know. Bottom line, you control the nutritional content of what you’re eating when it’s homemade. And that is a good thing. Price: There is no debating that going to the grocery store nowadays is getting way out of control in terms of prices. Everything has gone way up and most of those overpriced food items are fresh vegetables and fruits. I’m a victim of overly priced veggies and fruits, just like everyone else, but I will still go out of my way to eat them. In no way should they NOT be the main star of your meals. A single person eating fast food twice daily, five days a week, might spend $60. Add one $25 sit down dinner and you’ve spent $85 in a week. Hit up the store, and that same amount of money could feed you for two weeks or more. But, this is only YOU. What if you have a family?! Multiply that by 3 or 4 or more and you’re looking at one expensive dinner addiction. I’m going to say this and those who know (and love, right?!) are going to laugh, cry, and nod their heads in total agreeably, but I am not one to be frugal with my food. I will pay top dollar for my veggies, fruits, and most-unneedingly packaged superfoods. But I’m always aware that sometimes there is give and take with how much money you spend at the grocery store. I used to do all of my shopping at Whole Foods. I’d go into that wondrous store filled with a veggie-girl’s “candy store-like” addictions. I’d spend an hour going up and down the isles, and still do on occasion, but now it’s more for the things I cannot buy anywhere else. I’ve come to the realization that I can still buy great produce at a lower price. Whole Foods is great, but just be aware you’re probably just paying for the pretty store-front and beautiful fruit displays. Where I live there are a lot of different places to shop. Where I’ve been LOVING the prices are the Indian and Asian markets. Oh man, you should see the prices! I will go in and LOAD up on veggies and fruits- all exactly the same as in Whole Foods- right down to the baby coconuts. True story. But the difference are the prices. Coming out of the Indian market, with 5 large, loaded bags of produce sets me back $11. YES, $11. And the Asian markets have the most incredible fish. Super fresh, super great prices. There are ways around paying a ton, you just have to be a little creative. Ease & Serving Size: Stay tuned for tomorrow’s installment of the Ease of Eating at Home and your serving size options. With recipes, suggestions, and ideas to make dining in the better choice. 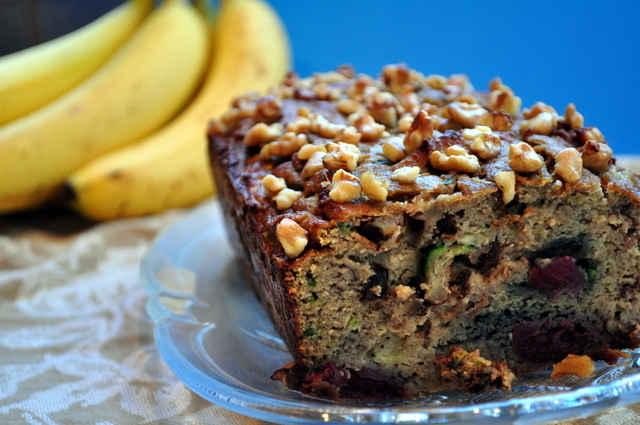 Want some of your very own healthy homemade recipes? 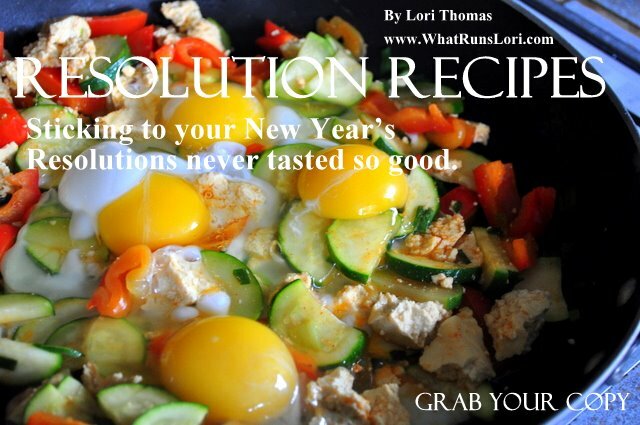 Get my Resolution Recipes eBook! Do you eat out often or make meals at home? What foods and dishes do you think is a better deal to eat out than to prepare at home? How many meals do you eat out a week? How often do you bring your lunch from home or prepare dinner yourself? I asked this question on Twitter and Facebook a week ago and the majority of you said you brown-bag your lunch everyday. Bravo! Lately, I really am discovering how much better homemade is. We used to eat out two to three times a week (that includes all meals, so really not much compared to the average), but now we are eating all meals in some weeks or just venturing out for one or two meals at most. And to be honest, I’m really preferring the meals at home now. I’m not sure what changed, but something about our food is just better to us! Do your ethnic grocers carry organic? My local ones do not. I love them for things like rice noodles and peanut oil and so many other staples (alternative flours), but have shied away from fruit and veggies because I have no way of knowing if they were sprayed, are gmo, or what. Any way to tell? great post!! i definitely think homemade is better. 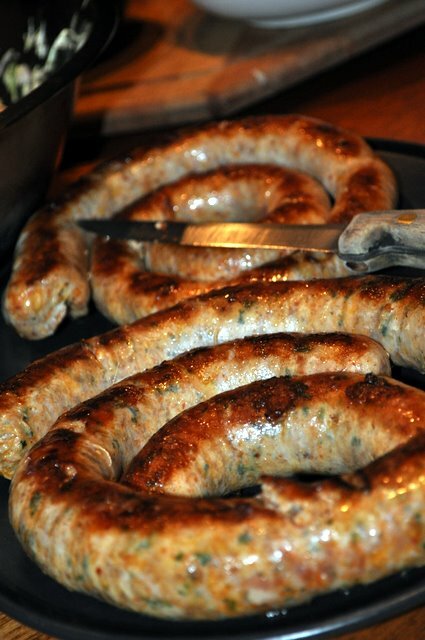 my husband is a hunter so we had some wild boar (we still do actually) and we made awesome sausage out of it. it was seriously just as good as store bought and im guessing WAY better for you. i wish we had ethnic stores near us but we dont…ill have to search online! If only there were ethnic stores here, I would shop there nearly exclusively! I go into the coop to get things that I can’t get at the fregular store, but otherwise, I’m all plain jane. Or I order things online, when I can’t find them in town. That’s the worst part of living in a small town. But I concur whole-heartedly – homemade is best! And now, to get me a boyfriend to make sausage! In line with the comments above – I’ve got my first ever batch of kimchi fermenting as we sit here. I effing LOVE the ethnic grocers in town. So cheap, so lovely! Ahh! Yes! 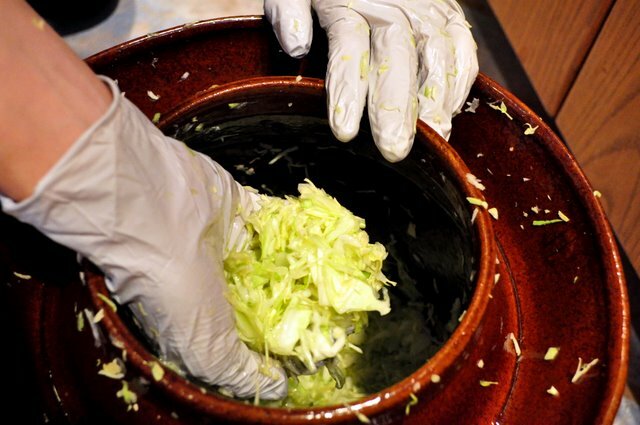 I love making fermented veggies too! My kraut is almost done and I’ll be sharing it with the world soon! Don’t you love the ethnic grocers? !